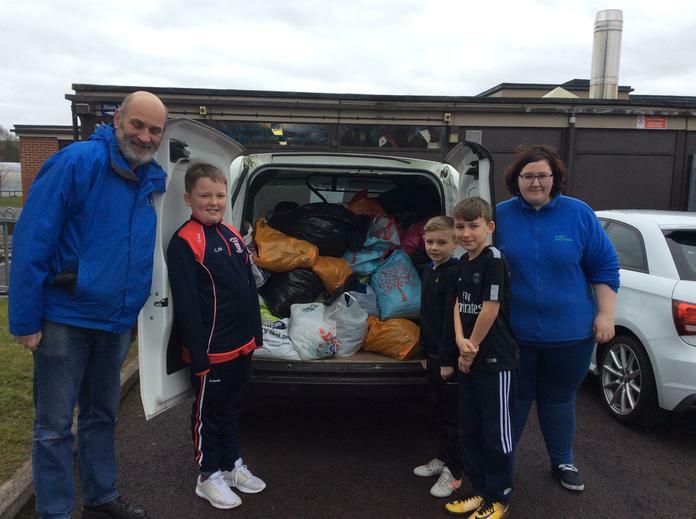 Well done to the School Council for organising the collection of school uniform for the Foodbank's School Uniform Appeal and thank you to everyone who has sent in a donation. The Foodbank's volunteer's called by with their van and filled it up! !